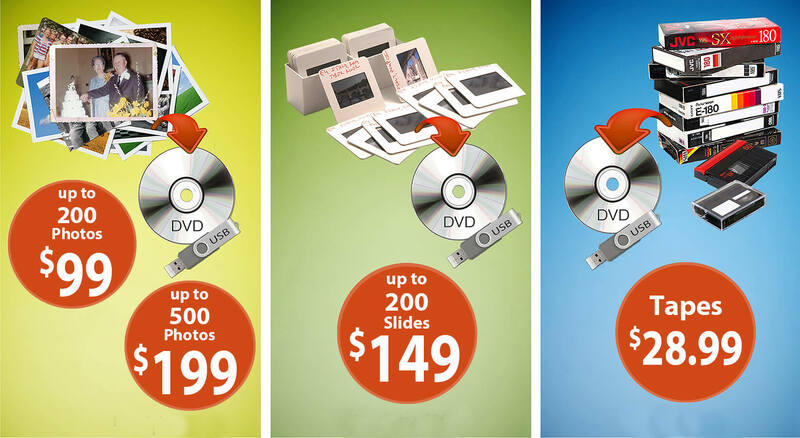 Transfer your printed photos to digital format to be preserved and shared. Fill up a pre-paid box with 200-500 prints and we'll scan them using professional equipment for high resolution images. Transferred digitally onto USB or DVD.